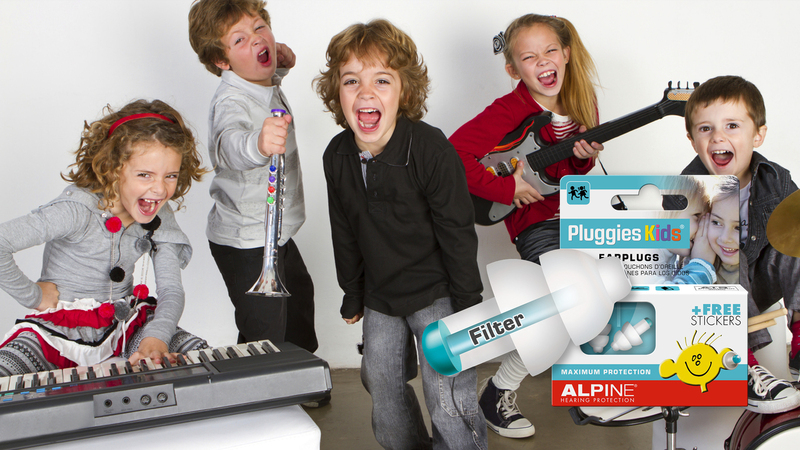 Pluggies Kids earplugs are specially designed to protect children’s ears against harmful noise, loud music and water. These quality, soft and comfortable earplugs can be used for many applications and are suitable for children aged three to twelve years old. 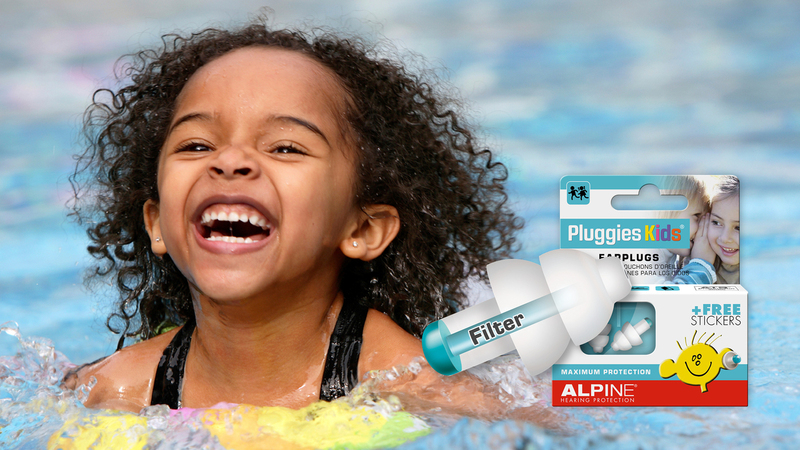 Whether your child is listening to loud music at a concert, playing in the pool, watching fireworks or racecars, or concentrating at school, Alpine Pluggies fit the bill to protect your little ones hearing. WORKING – Helping Mum Or Dad when in the yard mowing the lawn or using the leaf blower, watching Dad working with power tools etc. Sadly, one in eight children now suffer from irreparable noise induced hearing loss. Children’s ears are extremely sensitive to noise. Most noise induced hearing loss is permanent and best of all PREVENTABLE! 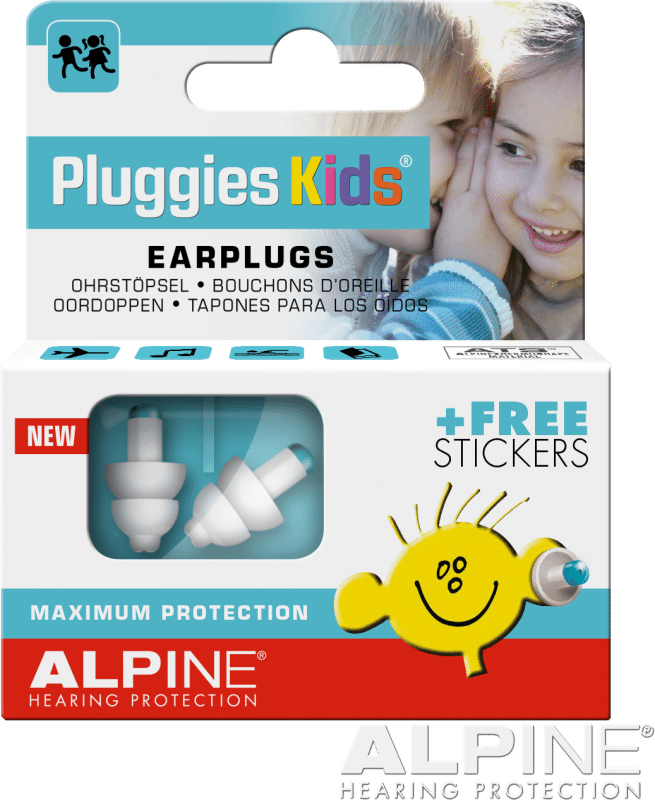 That’s why Alpine have developed Pluggies Kids Earplugs especially designed for children aged between three and twelve years. 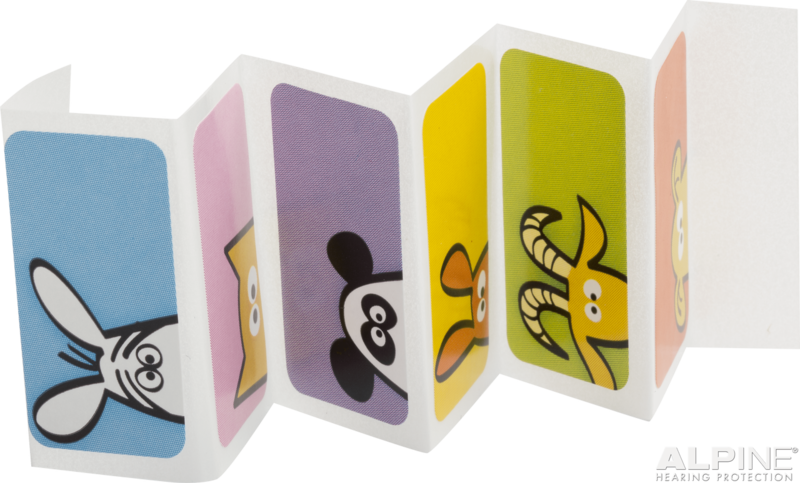 These great little hearing protectors muffle excessive loud ambient noise whilst still allowing your child to hear what’s going on around them. 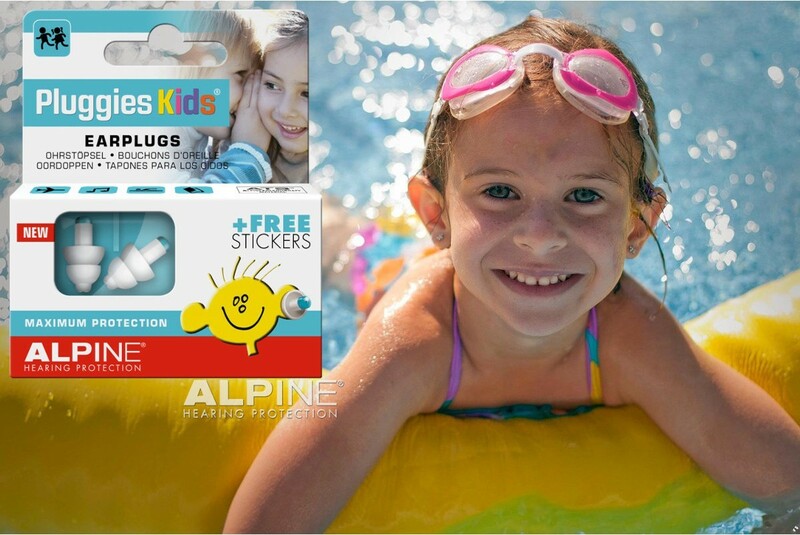 What’s more is they are waterproof so can double as a great earplug to prevent water from getting into their ears when swimming, the perfect all in one solution for kids ears! 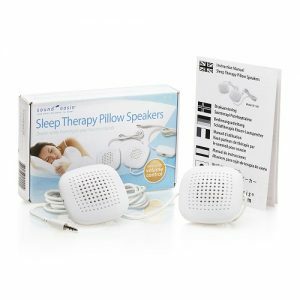 COMFORTABLE – Extremely comfortable due to soft AlpineThermoShape material they safely fit to the shape of little ones ears. PREVENT HEARING LOSS FOR YOUR LITTLE ONES EARS TODAY! 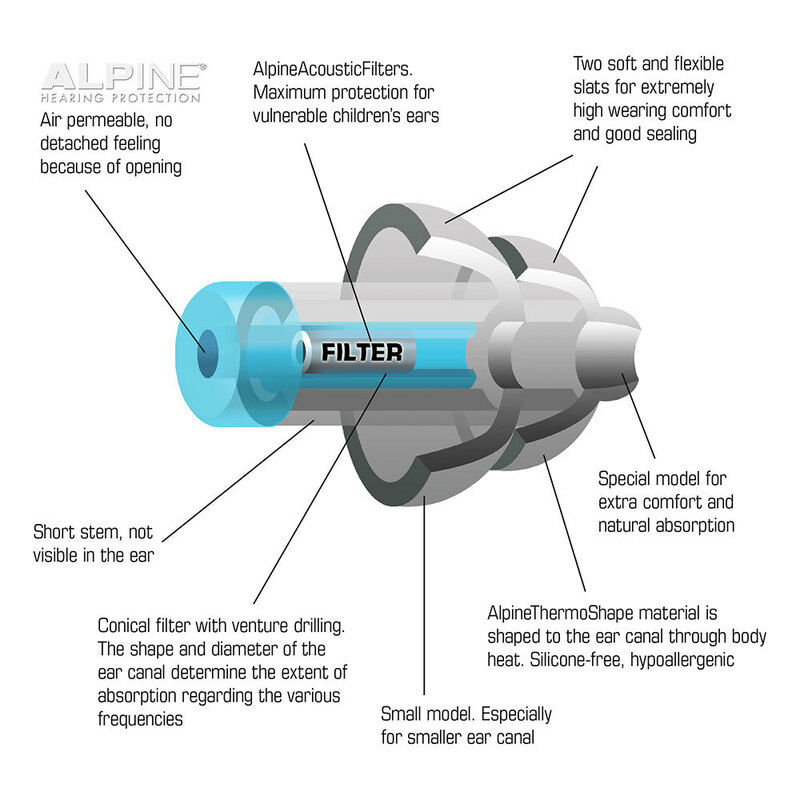 Twenty years of experience have allowed Alpine to develop a revolutionary new earplug model with a noise filter, that filters out damaging sounds. The extremely well thought-out and extensively tested shape of the earplugs provides a natural flat absorption and a perfect fit. Many kids have earaches during the take-off and landing of an airplane. 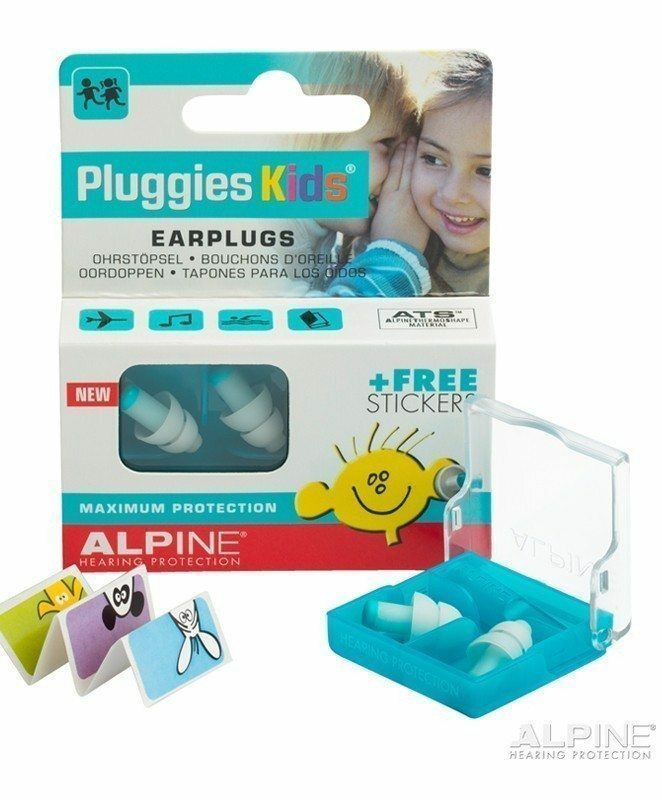 Pluggies Kids earplugs improve pressure regulation in the ears, thus preventing earache. 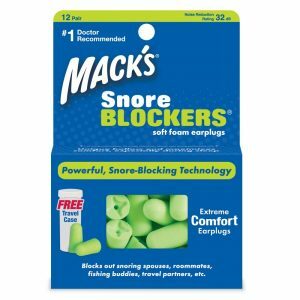 In addition, you can sleep peacefully when you wear earplugs while flying. 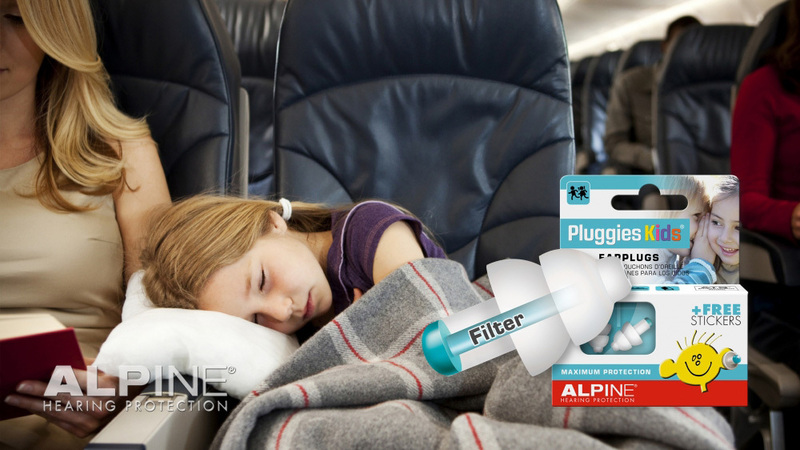 Alpine is now permitted to use the coveted quality seal on the Kids Pluggies Earplugs. 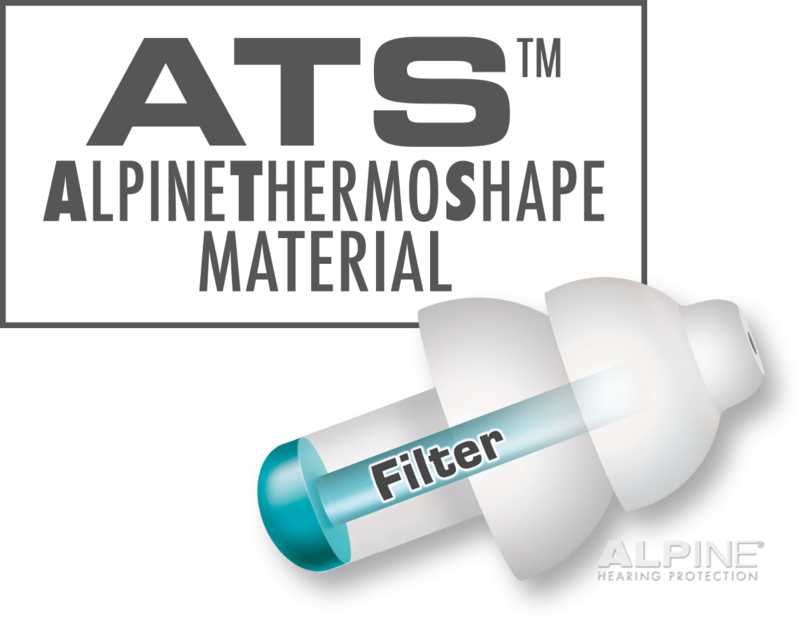 When inserted into the ear canal the dual-flange silicone Alpine Thermo Shape (ATS™) material softens as it warms and adapts to the shape of your ear duct. This makes them extremely comfortable to wear for long periods of time. These earplugs are great for swimming and for keeping out noise. I keep one pair in my daughters swim bag and the other pair in my handbag. They’ve been life savers for when we’ve been to fireworks and concerts and were invaluable in keeping away ear infections, 12 months on and no visits to the Doctors! 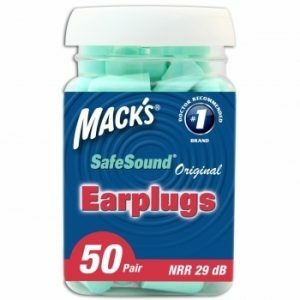 I would recommend these earplugs for all children.